A green solution for your office and restaurant, this low-profile Continental 1358-1 13.6 qt. 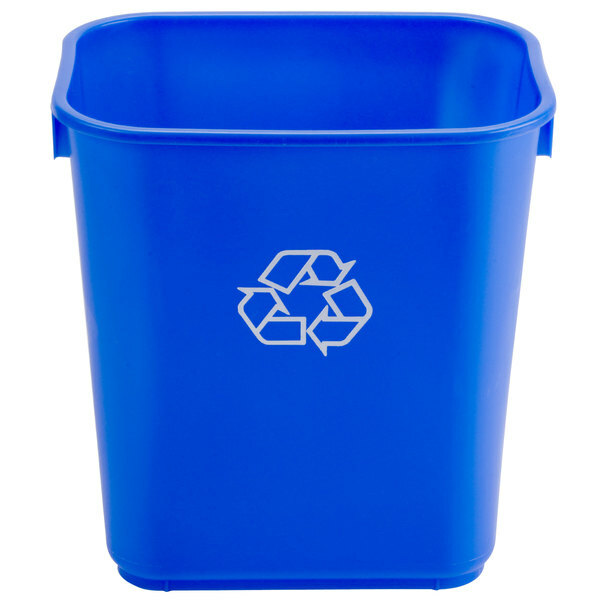 blue rectangular recycling wastebasket comes complete with a molded in recycle logo to designate it for recycling use only. 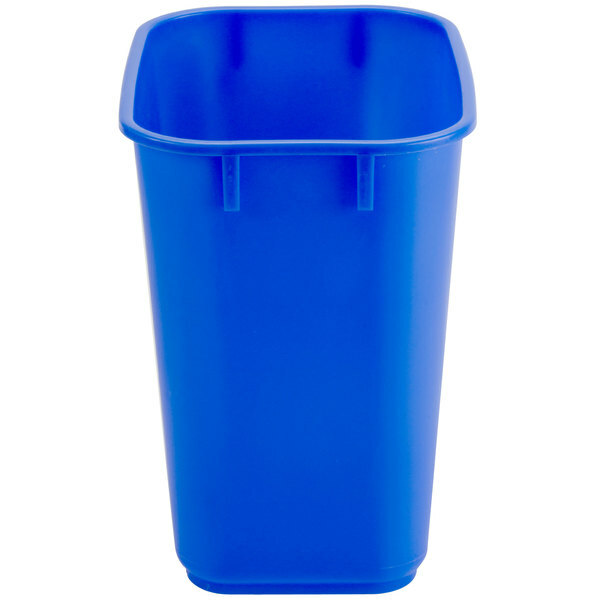 The attractive design of this wastebasket is complemented by the bold blue coloring and versatile 13.6 qt. size, making it a great addition to your host/hostess station or for use behind the counter at your small convenience store. These recycling bins were just as described and even delivered earlier than expected. They are a great size and fit perfectly in our office spaces. 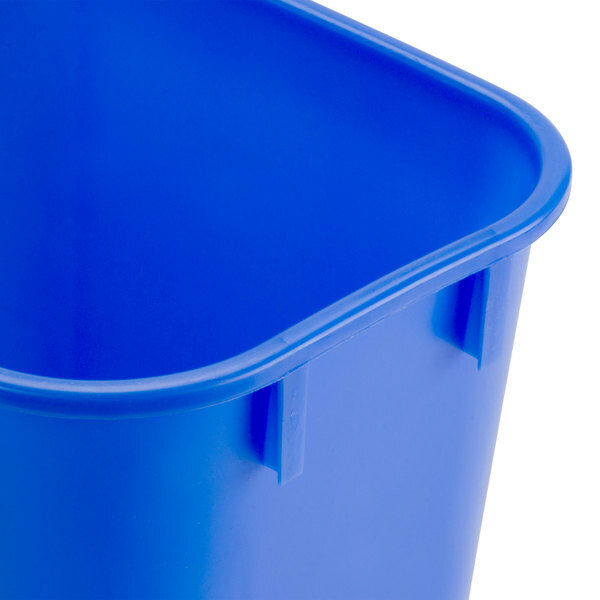 The Continental 3 gallon blue rectangle recycling wastebasket or trashcan is good for collecting empty plastic bottles or paper for recycling. The 3 gallon size is good for offices and small areas. This small recycling wastebasket fits nicely under any desk or counter and makes it easy to sort recycling items from trash. If a lager container is needed, these come in all sizes. 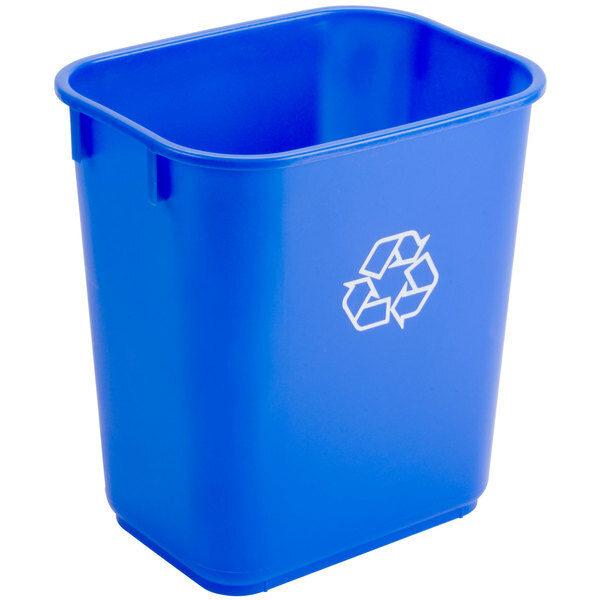 This blue recycling wastebasket is a nice quality item. Works great as an under your desk wastebasket. Small size makes it convenient and easy to empty. Exactly what you would expect. The product is not weak or easily broken. Again, exactly what you would expect. I'm happy with my purchase and would do it again. We love this for home use recycling, it is a nice size. Ito also fits smaller to medium bags perfectly. This one fits under sinks well too. This is a very economical and decently sturdy recycling wastebasket. My only small complaint is that the recycling symbol is only printed on one side. So inevitably it gets emptied and replaced backwards every few days, and then customers throw trash in it because they don't see the recycling symbol. But we don't need anything bigger at the moment, so it definitely works for now.